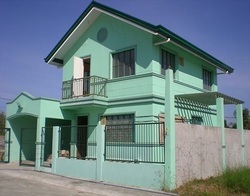 Roseville Subdivision is very accessible with 24/7 transportation, just beside Immaculate Concepcion Academy. 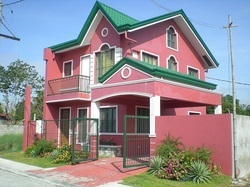 • Near colleges and universities like Dela Salle University, Lyceum University, EAC, STI, AMA, PNTC (Maritime School), etc. • Near churches like Roman Catholic in Bayan, Iglesia ni Cristo, Church of God, etc. • Near hospitals like GMF, La Salle Hospital and Asian Medical School. • Near Malls like SM Pala-Pala, Robinson Pala-Pala, Waltermart, and the on-going construction of Ayala Malls in Daang Hari. Homeowners enjoy amenities at their convenience. 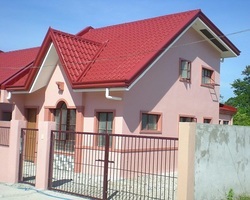 It has its own guarded entrance gate with 24-hour security and gated subdivision. Easy-on-the pocket house and lot packages are available for efficiently laid out Mediterranean-inspired 2-storey homes with floor areas ranging from 59.85 sqm to 114 sqm.